Rutgers State University New Brunswick, M.A. 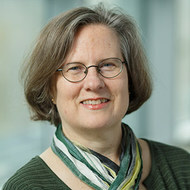 Carol Damm, MEd, is Director of Programs and Assessments for Graduate Professional Studies (GPS) at Brandeis University where she oversees the review and assessment of 12 programs offered by GPS as well as product development with a focus on innovating to meet the needs of industry partners. Carol has 12 years experience in the fields of instructional design and communications in both for-profit, K-12, and Higher Education. She consults and presents on Learning Experience Design informed by her experience in website management, strategic planning, and instructional design expertise. Carol's research interests focus on adult learners’ motivation and drive in order to effectively develop courses and programs that will contribute to their success in professional and personal advancement.